From left, Frank Yule, Arrowdawn MD Gordon Adie and Phil Smith. Arrowdawn has added further experience to its team with a key appointment. Frank Yule, who has nearly 30 years’ industry expertise, has joined the business as a senior network engineer. He has previously worked with oil and gas operators as well as international oilfield service businesses. Arrowdawn has also given a year’s placement opportunity to Phil Smith, a third year BSc (Hons) computer network management and design student at Robert Gordon University. 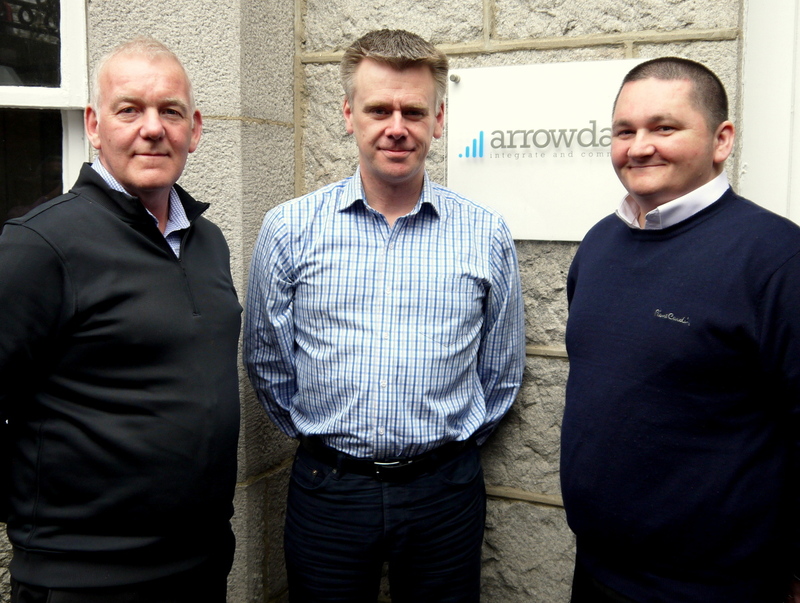 Gordon Adie, managing director of Arrowdawn, said: “We’re delighted to add someone of Frank’s expertise to the team. He has a proven track record of delivering network solutions over a number of years for local, national and international projects.